What Happened to Bo Xilai? The firing Bo Xilai was a surprise to many. Was he punished for getting too far outside the mainstream? The scandal-plagued end of Bo Xilai’s career started long before Wang Lijun’s dramatic flight to the American Consulate in Chengdu last month. The incident may have triggered the resolution of a simmering conflict, or it may have been the first move of a checkmate in two, but it’s a safe bet that there were serious political reasons behind the highest-reaching political scandal since the Chen Liangyu case at the beginning of President Hu Jintao’s term. Bo’s unorthodox approach to politics has made him an increasingly controversial figure within the Communist Party. The very public campaigns and policy freelancing that have made him a center of attention in the past year have struck Western analysts as a threat to the consensus-driven leadership of the modern Chinese Party – and it now seems that China’s top leaders agree. The dismissal represents a final verdict on Bo’s populist style – and perhaps also on his leftist policy agenda. A move on the level of dismissing a member of the Politburo couldn’t have been made lightly, or quickly – in the closest analogue we have for this case, the dismissal of Shanghai party chief Chen Liangyu over corruption charges in 2006, Hu spent months negotiating Chen’s removal with the Politburo Standing Committee, after years spent laying the ground and accumulating evidence for the charges, as Richard McGregor documents in “The Party.” That case also began with the arrest of Chen’s subordinates and worked up the chain. Hu and Premier Wen Jiabao are likely organizers of Bo’s downfall as well – they have, unlike the majority of the Standing Committee, avoided visiting Chongqing during Bo’s tenure, echoing Hu’s pointed avoidance of Shanghai in the years before the Chen Liangyu incident, and Bo’s removal from the contest for elevation to the Standing Committee seems to clear the way for an important Hu ally, Guangdong party chief Wang Yang. Wen’s remarkably direct criticism of Bo Tuesday further suggested a strong personal animus. But ditching Bo was clearly a consensus move, and everyone had good reason to support it. Peter Martin reported in this space in January on Bo’s success in forming an independent base of support in Chongqing and Dalian – if Bo had kept this intact into the Xi administration, he could easily have become a problematic rival. If he had succeeded in forcing his way onto the Standing Committee, he would have created an alternative route to power, permanently undermining the Party’s control of the government through its absolute power to make appointments. The timing of Bo’s downfall suggests that China’s top leaders took these threats seriously – with the leadership transition in October and ongoing provincial appointments, Bo could have been quietly eased out if it hadn’t been necessary to make an example. The choice to fire Bo during the National People’s Congress catches him in Beijing and ensures that he won’t travel back to Chongqing – suggesting that Chinese leaders may have feared another Wang Lijun-style getaway. The end of Bo Xilai’s run should also spell the end of the “Chongqing model” of heavy state investment coupled with ersatz Maoist political slogans. Deputy Premier Zhang Dejiang, a high-ranking but inconspicuous Politburo member with a speciality in cleaning up political messes – he was sent to Fujian last summer to handle damage control after the high-speed rail crash – has been appointed to Bo’s recent job in order to unwind his policies. With Bo gone, attention will be focusing in coming months on Wang Yang, a dynamic and apparently reform-minded member of the Communist Youth League faction who was until recently seen as Bo’s chief rival for promotion. With Bo out of the running, Wang is a very likely a candidate for promotion. I'll be back next week with a quick introduction to Wang. 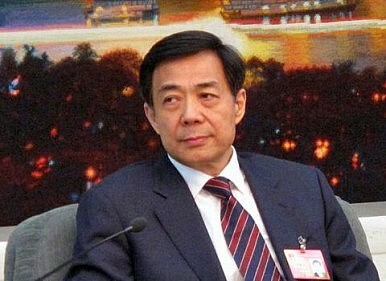 The apparent detention of Chongqing Police Chief Wang Lijun is a blow to populist politician Bo Xilai. And could be a sign of where China is headed.